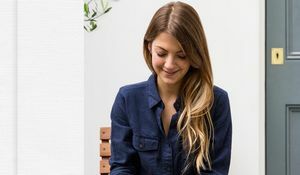 This year The Happy Foodie team is celebrating Valentine's Day not with a candlelit dinner for two, but with a feast full of foodies. 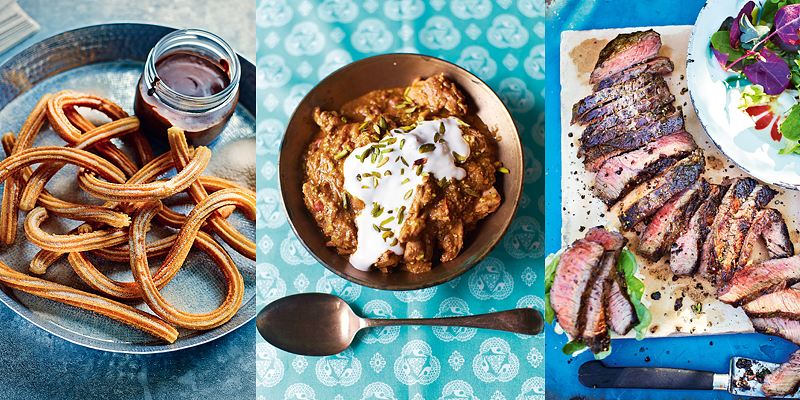 We're marking the day of love with some of our favourite recipes that lend themselves perfectly to sharing. So get out the extra chairs and the camping cutlery from the attic, this year on Valentine's Day, sharing is caring! There's something special about a rare, juicy steak on Valentine's Day and this recipe (using 850 grams of rump steak!) is all about that something special on a grand scale. 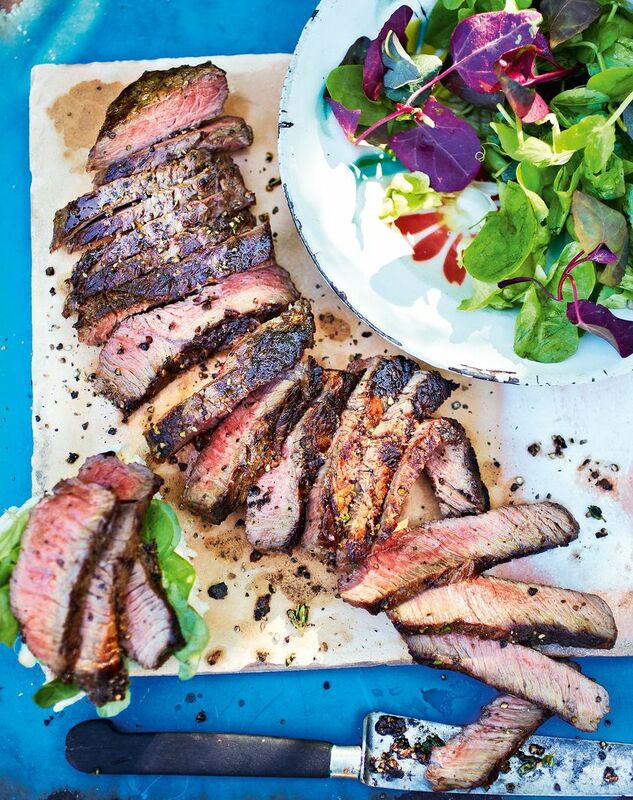 So grab yourself a big piece of rump steak, fire up the barbeque and become everyone's favourite person with this recipe from Levi Roots. As Valentine's Day falls on a weekend this year, it seems only appropriate to start the day with some baked goods. 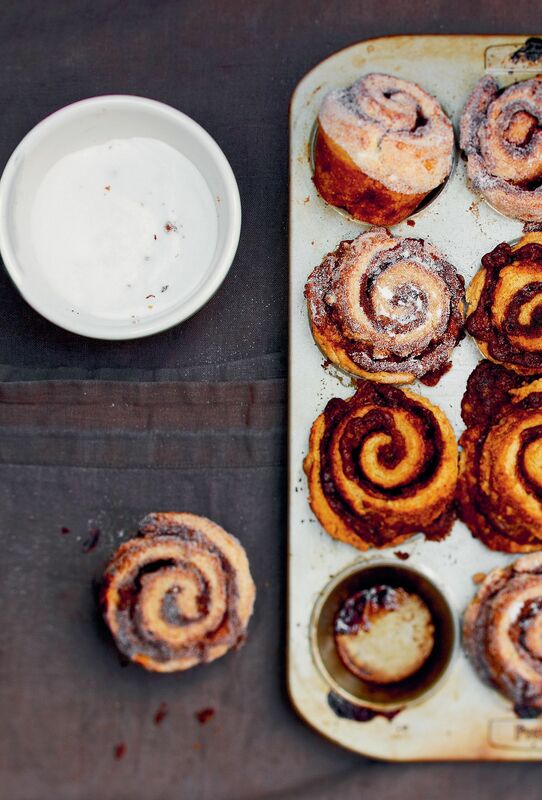 These sweet Cinnamon Buns from The Violet Bakery Cookbook would go down a storm with a crowd of hungry breakfasters. And if you don't fancy the fuss on the day, you can make this recipe ahead of time and freeze until needed. 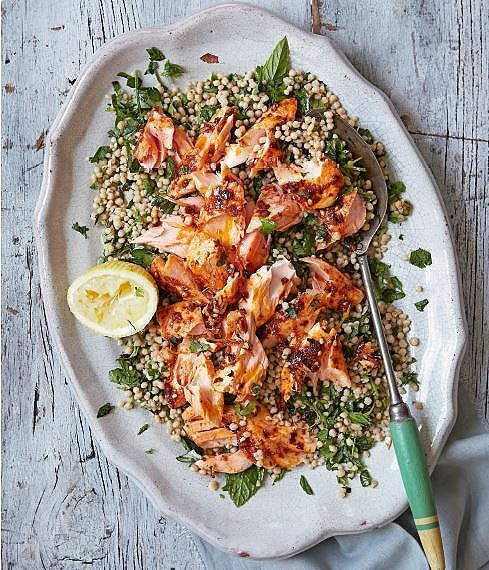 Recipes like this Roast Harissa Salmon are crying out to be served on one big dish with a couple of serving spoons and passed around a table. If you want a little more civilisation with your sharing food, this recipe is the one for you. Plus check out The 24-Hour Wine Expert's perfect wine pairing for this dish! 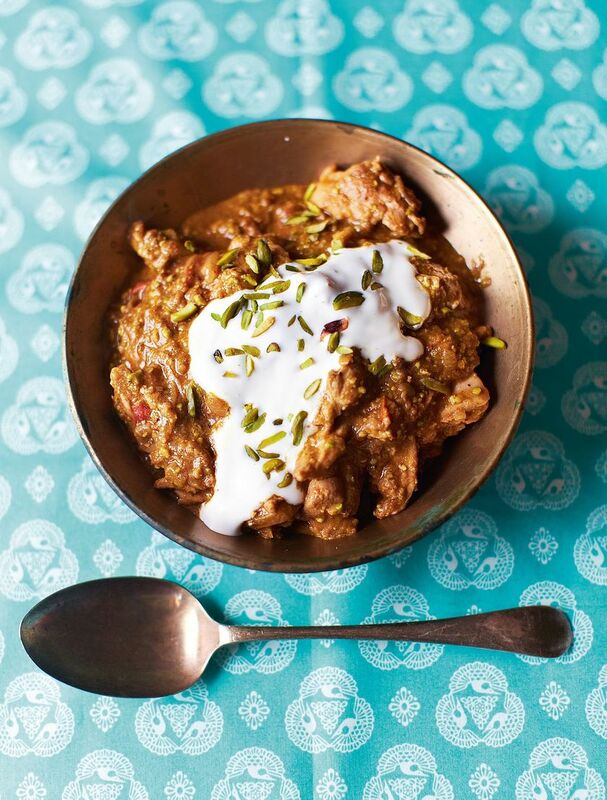 Curries are always a crowd pleaser and Meera Sodha's Pistachio and Yoghurt Chicken Curry is certainly special enough a gathering. Why is it perfect for Valentine's Day? Well we believe you should eat the food you love with the people you love on Valentine's Day, and this recipe ticks all the boxes! Looking for something dippy and sensual that can still be shared with a crowd? Then look no further! These sugary, cinnamon churros are the perfect dessert for your Valentine's meal. 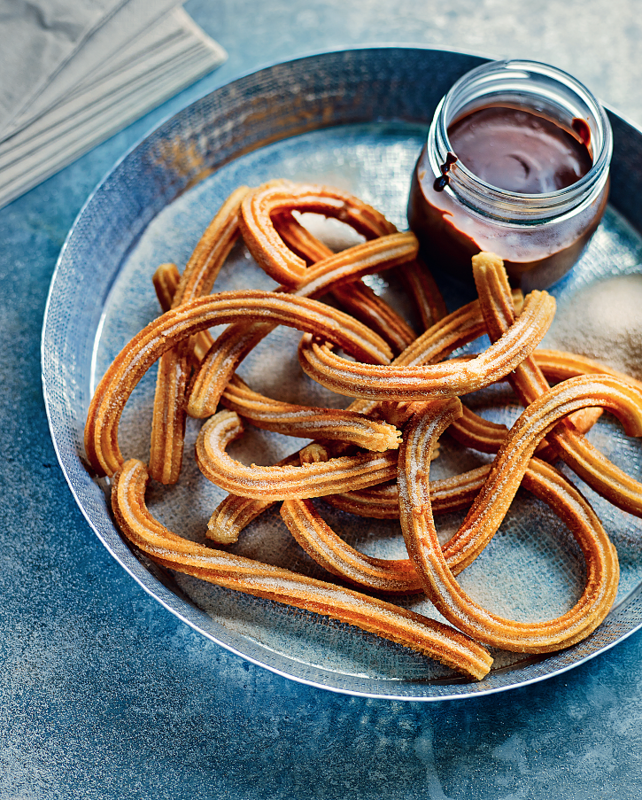 Served with a mug of molten chocolate, you actually might not want to share this one... And best of all, our video with Omar shows you exactly how to make your Churros at home. 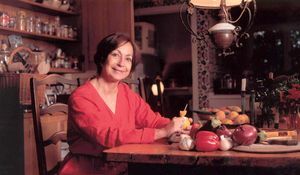 The wonderful Claudia Roden has been introducing the British to exciting food from around the world for several decades. Her classic book, The Food of Italy, is re-issued this week. Here, she chooses three recipes from the book that would make a truly Italian feast to serve on Mother's Day. Want to know what it's like cooking from 26 Grains? 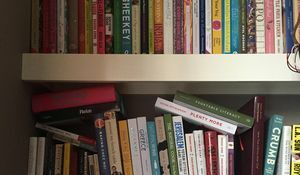 A team of happy foodies has been testing out the book and its recipes in their own kitchens.